“No way, is someone at this school actually having a party?” (Legally Blonde) – said no Western Law student ever, because there’s always a party. The Social Committee is your link to all things social at Western Law. We provide much-needed study breaks in your busy schedule with fun-filled events, such as inter-faculty nights out, special occasion activities and, of course, the infamous bi-weekly “Lord Denning” pub nights. This year we want to focus on making the social culture at Western Law as fun and inclusive as it could possibly be! Always feel free to reach out to us with ideas or feedback, or better yet, join our team!! Keep an eye on our Facebook page “WL Dennings 2018-2019” for your social calendar and all the can’t-miss social events in the upcoming year. Welcome to Western Law! We are so excited to meet you!! Obiter Dicta is Western Law’s annual talent show and the chance for you and your classmates to show just how widely talented you are. All proceeds from the event go to benefit the London-based St. Joseph’s Hospice – a community-based palliative and bereavement care centre serving people living in London and the immediate surrounding area. During this amazing evening, students from all three years get to showcase their non-legal talents. Any and all talent is welcome and past years have included musical acts, dance, comedy routines, and more! Obiter is certainly the most memorable night of the year! The Distinguished Speakers Committee (DSC) invites prominent members of the legal profession and related fields to lecture at Western Law and share their extensive knowledge with law students and faculty. Our speakers are all at the top of their respective professions and include members of the judiciary, high-ranking politicians, and experienced practitioners. Topics vary widely and can involve current social and ethical issues in the legal field, valuable advice to take into practice, as well as unique perspectives from specialists outside of law, such as medicine or international politics. Recent speakers have included the Right and Honorable Chief Justice Richard Wagner, Netflix’s “Making a Murderer” attorneys Dean Strang and Jerry Buting and criminal defence lawyer Marie Henein. The Western Law Yearbook Committee is here to tell your story for the next 3 years. We will be covering everything ranging from events to Dennings, as well as each and every one of you. We are looking for enthusiastic students who are comfortable making a weekly time commitment. If you have a knack for photography, design, or photo editing, we would be thrilled to hear from you! 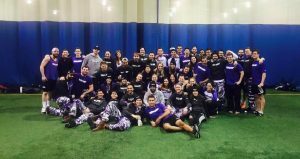 Each year at the beginning of January, law schools from across Canada gather for Law Games, a four-day competition comprised of several activities including sports, a moot, trivia and a talent show, all for the highly-coveted Law Games Cup, Sports Cup, and Spirit Cup. The team is comprised of students across all three years with interests in playing sports, mooting, participating in a talent show, or producing a closing ceremonies video. This year, the Sherbrooke University Faculty of Law and the City of Sherbrooke are hostingthis unforgettable week. Joining the team is not only a great way to get to know students from all years at Western Law, but also to meet law students from across the country. Most Western Law team members claim that this one-of-a-kind experience is a highlight of their time in law school. Be on the lookout in September for more information on how to apply, and in the meantime, if you have any questions or concerns about applying or just in general, don’t hesitate to reach out to your Co-Captains! Even while in law school, we are important members of the community in which we live. This committee attempts to raise awareness of that fact by organizing community outreach programs and fundraisers. As future lawyers, we must be aware of our ability to become leaders in our community. Therefore, it is important to spend time now creating a positive image for the Law School through involvement with community agencies that can benefit from student assistance. Without your participation, these goals will be hard to reach. What is Law Ball? It’s Western Law’s semi-informal event: one of the most anticipated events of the year! It is your chance to get dressed to the nines and dance the night away with your Western Law family! Most important, Law Ball is a night to celebrate student excellence at Western Law. The awards distributed at our winter formal recognize the academic achievements of our peers and their significant contributions to the Western Law community. We will be welcoming applications for committee member positions in September. We can’t wait to meet you during O-Week! Cheers! We have an amazing team to help diversify our faculty by celebrating the view that diversity and merit are two sides of the same coin. Our committee seeks to research and model a law school environment at Western Law that is welcoming, safe, and inclusive to all of our administrators, staff, and students by viewing differences in nationality, race, religious belief, gender, age, sexual orientation, socioeconomic status, and ablebodiedness as opportunities for understanding, learning, and growth. This year our focus will be on hosting events and activities aimed at recognizing and celebrating diverse perspectives and experiences to foster meaningful and respectful engagement in all aspects of life at Western Law. We look forward to meeting you all in September! Are you the person all your friends turn to for fashion advice? Do you take pride in your school spirit? Do you want to have a say on the Western Law swag circulated this upcoming year? If you answered yes to any of these questions, the Merchandising Committee is for you! This past year we launched our 24/7 merchandise website so that you never have to wait to show off your love of Western Law! So this upcoming year we will be focusing on making sure there is always something for everyone! If this sounds like a role you would be interested in, please keep your eyes open for the 2018/19 applications. If you have any questions, please reach out to any of our committee heads. We are always interested in hearing new ideas and are happy to answer any of your questions. We look forward to meeting you all! Until then, we hope you have an amazing orientation week. Welcome to Western Law! The Western Law Advocacy Committee is committed to teaching, promoting, and supporting aspiring litigators. We seek to accomplish this goal through coaching and mentoring students who choose to compete in internal and external mooting/trial competitions. Additionally, we liaise with London and Toronto litigation firms to host advocacy-related seminars. The Western Law Advocacy Committee is also responsible for organizing and judging the Lerners LLP Cup and First Year Appellate Advocacy Competition. The Wellness Committee at Western Law promotes positive mental and physical health among law students. The Committee is composed of 1Ls, 2Ls and 3Ls who plan a number of wellness events throughout the year. Some past events include Western Law’s involvement in Run for the Cure, therapy dogs, apple picking, tobogganing, yoga, cooking classes, mini massages, guest speakers, and meditation/mindfulness sessions. All students at Western Law are invited and encouraged to come out to events! The Sports Committee aims to get each and every law student involved in the Western community through sport. Each semester, the Sports Committee registers teams in intramural sports on campus, with teams in hockey, volleyball, basketball, dodgeball, and countless others like inner tube water polo. We also have a competitive hockey team that plays against other law schools from across Ontario. Our student lounge is equipped with a pool table and foosball table, and we are working on installing a PlayStation for September. With each new initiative, our mission is to provide students with a positive outlet and environment to escape the pressures of law school. If you have any questions regarding intramurals or anything you think could benefit the Law faculty, please reach out to our two Co-Chairs. What’s 3YP? Third Year Party! One last chance to celebrate the end of 3 years of summaries, moots, and, of course, Dennings. Say goodbye to Western Law and 3LOL with 175 of your closest friends. The Programs Committee is chaired by the Associate Dean (Academic), and comprises faculty members, the SLS VP-Academic, and two student representatives. The committee oversees course programming and delivery, among other curriculum-related issues. The student representatives solicits feedback from students regarding courses and brings this feedback to the attention of the Programs Committee. The Student Appeals Committee is a faculty committee that meets to consider any appeals on decisions made by the administration or faculty members. This can be anything from a grade petition based on a belief of bias to a request for an exemption due to a medical condition. Student members on this committee ensure that student voices are considered in the appeal decision while maintaining the tradition of academic integrity at Western Law. The Student Careers Committee represents the professional interests of Western Law students, and aims to assist students in their career and professional development. The Committee provides assistance to the Western Law Career & Professional Development Office (the “CPDO”), and acts as a liaison between the CPDO and Western Law students. The Admissions Committee helps establish policy and internal guidelines concerning admission to Western Law. Further, members of this Committee review and make recommendations on applications for admission. Note: Another way to get involved with Admissions is to apply to become an Admissions & Recruitment Student Ambassador. Watch for an email from the Admissions Office later in the Fall semester! The Student Alumni Committee is the bridge between current students and Western Law’s Alumni Relations & Development department and the law alumni community. The Committee helps to support alumni events by working closely with Law’s AR&D staff. The most important events in the Alumni portfolio are Homecoming, an Alumni Awards of Merit Reception, and possible Alumni Dennings in the Fall and Spring months.